YOKKAO 39 – 40 is now confirmed to take place on 25 May 2019 in Sydney, Australia. 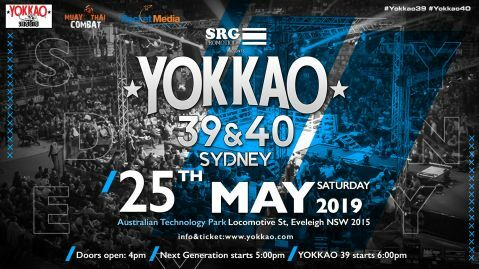 Organized in partnership with SRG Promotions, the double event will take place at the Australian Technology Park and looks set to be one of the biggest Muay Thai shows in the land down under. 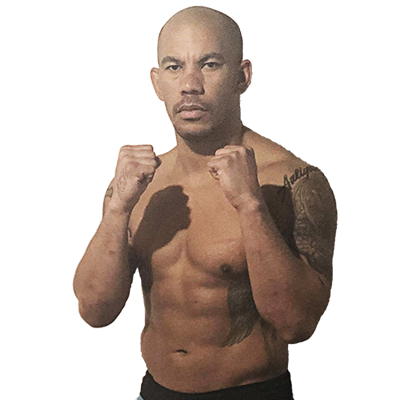 Australian fight fans are in for treat with an evening of world-class Muay Thai battles in store. 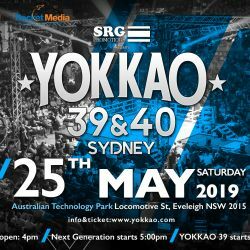 Besides the renowned athletes from the YOKKAO Training Center Bangkok, the stacked card will also feature top homegrown fighters from Australia. This is an event not to be missed for all Aussie fight fans.